Bright, bold colors! That’s what you’ll see this summer in heels. 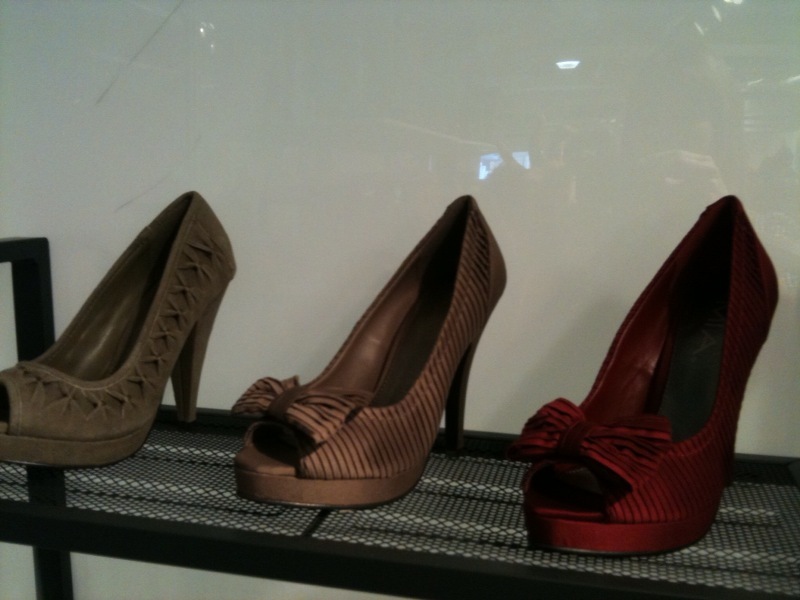 Color blocking in shoes (as well as dresses, but that’s not my area of expertise…so back to the shoes!) is included too. Blue will be one of the hot colors for sure! It was everywhere, all shades from the royal blue above to the turquiose blue below…and all the shades in between. 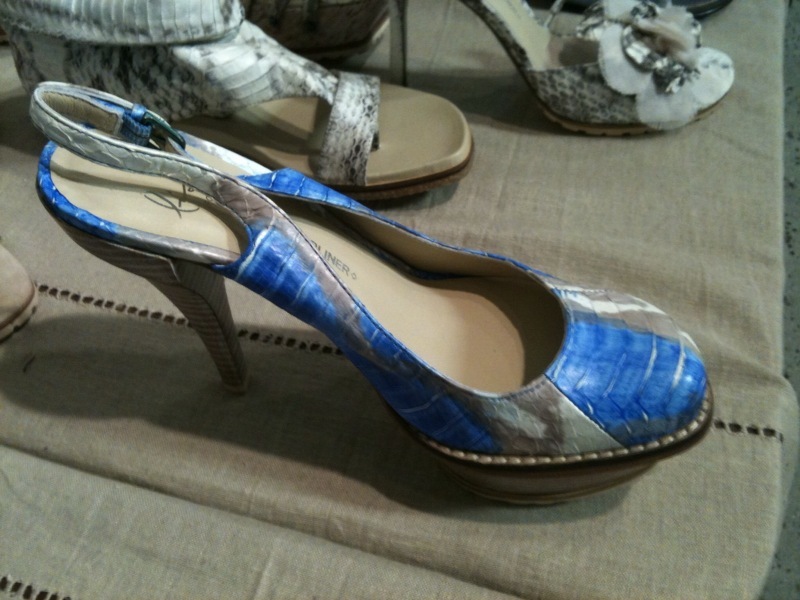 These ‘Remi’ slingbacks by Lisa for Donald J. Pliner are a little more neutral than some of the previous examples, but still have the bright blue blended in with the light grey/dark grey on the upper of the shoe, so I wanted to include them. What do you think? 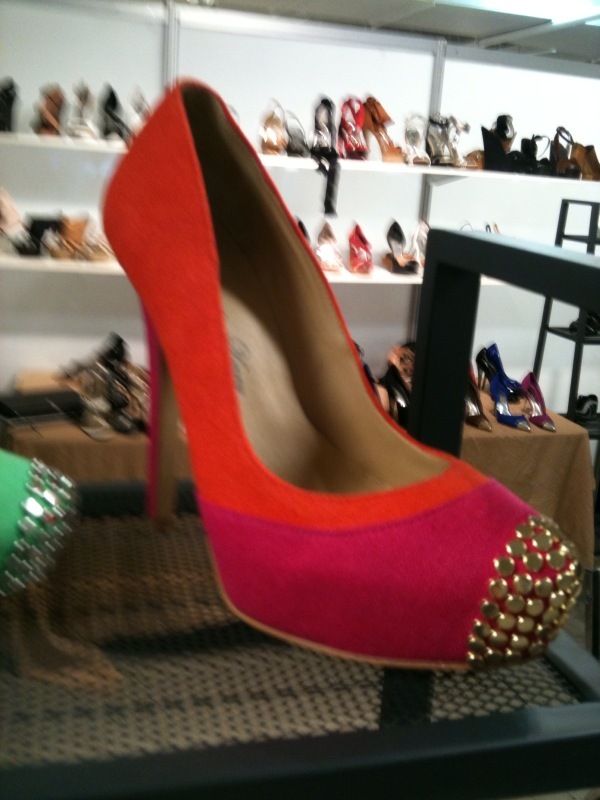 Do you like the blending of colors in this shoe? 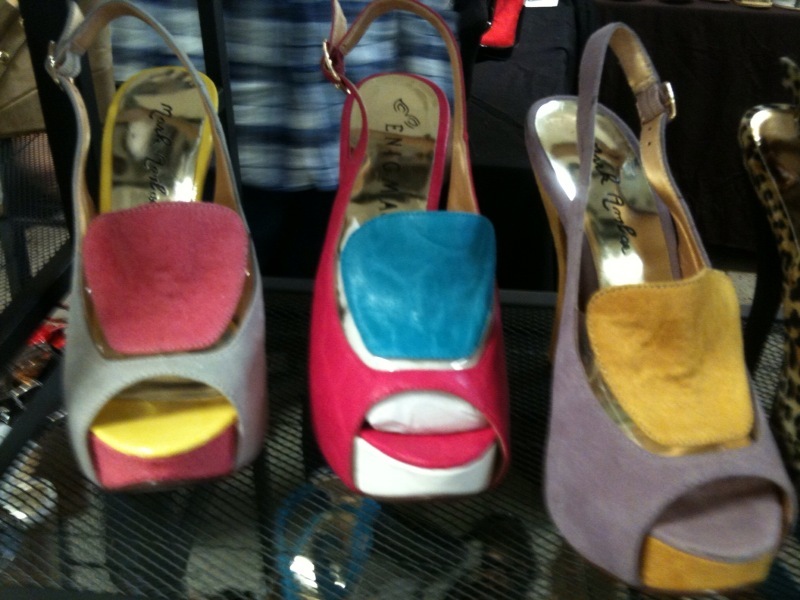 These wedges are also by Enigma and again this company uses some bright colors to highlight the details on their shoes. Here we see bright blue and dark yellow combined with a neutral wedge heel, and the bright colors are highlighting the light colored laces. 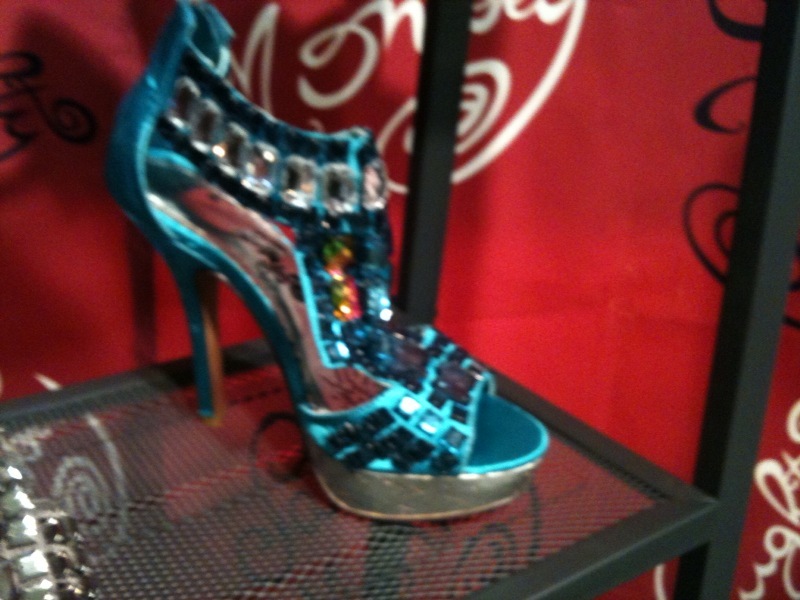 Well, this was just one of the trends in heels for Summ2011 that I saw at the show…I will be posting a few more this week! 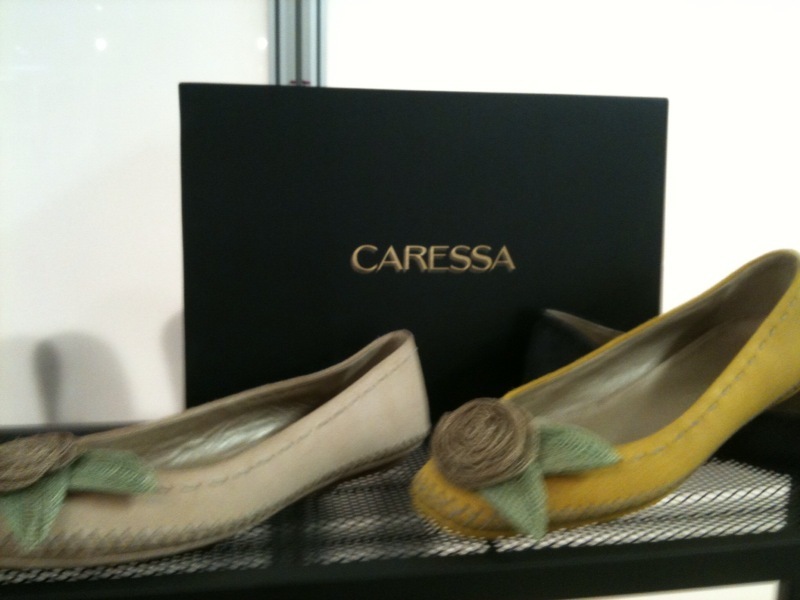 I hope you enjoyed this little preview of the summer heels coming to a store near you soon enough!